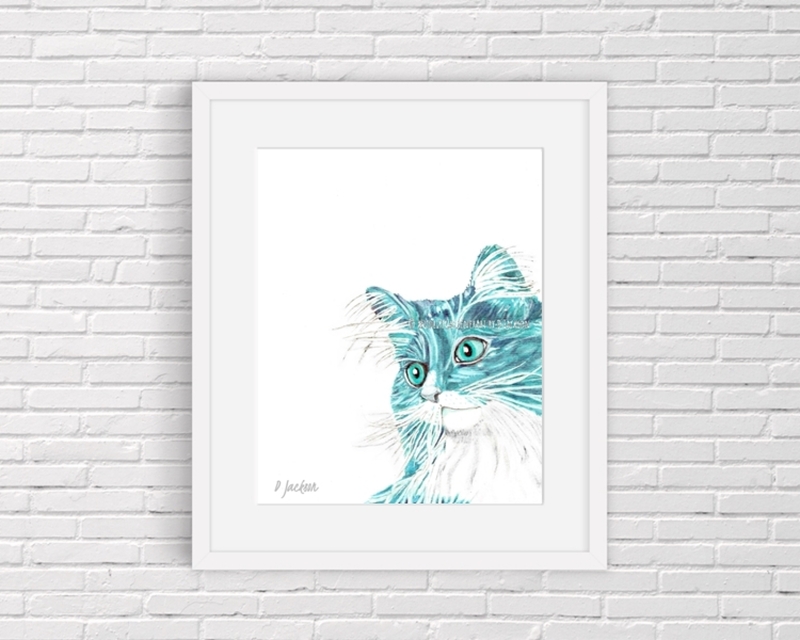 Aqua Blue Long Haired Cat Archival Art Print from my original watercolor painting. 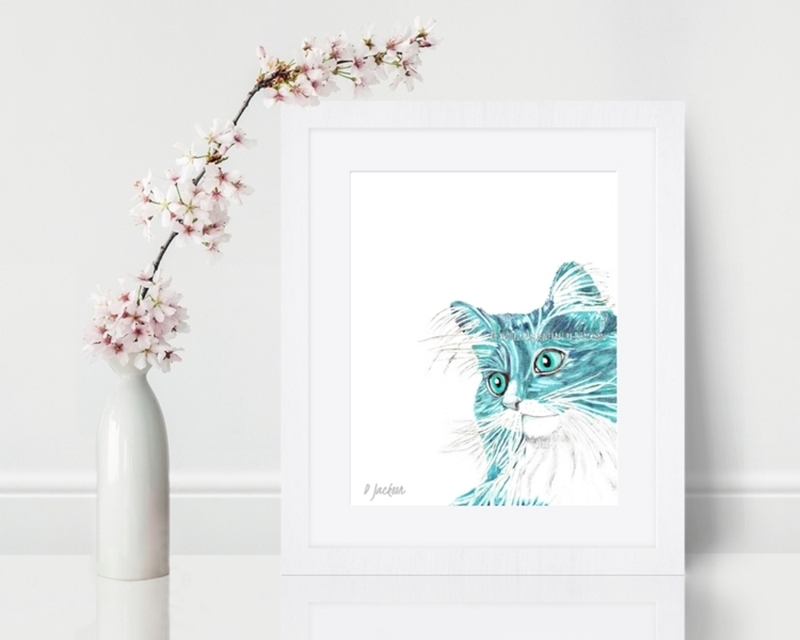 Because cats are cool - just like this color. 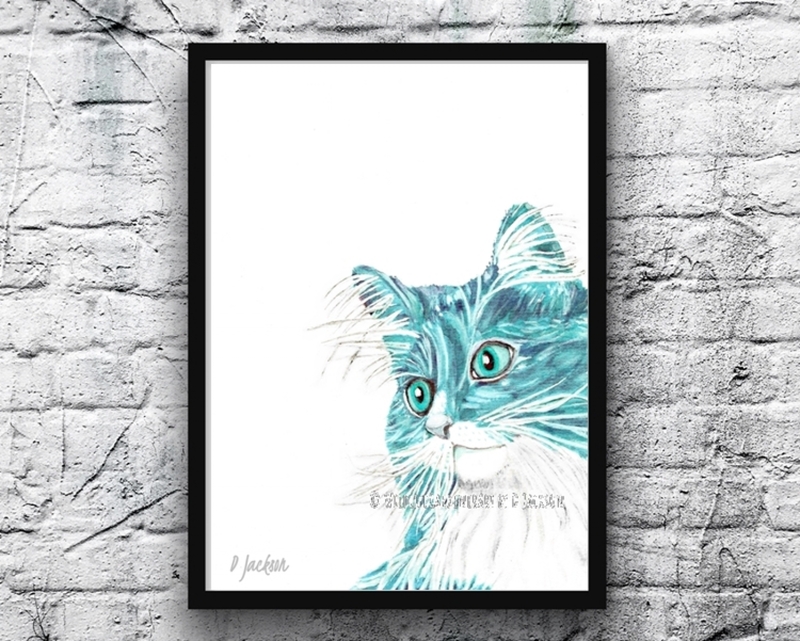 Contemporary pet art for a fresh accent in many decors and a great gift for pet lovers. Available as photo or Giclee prints. 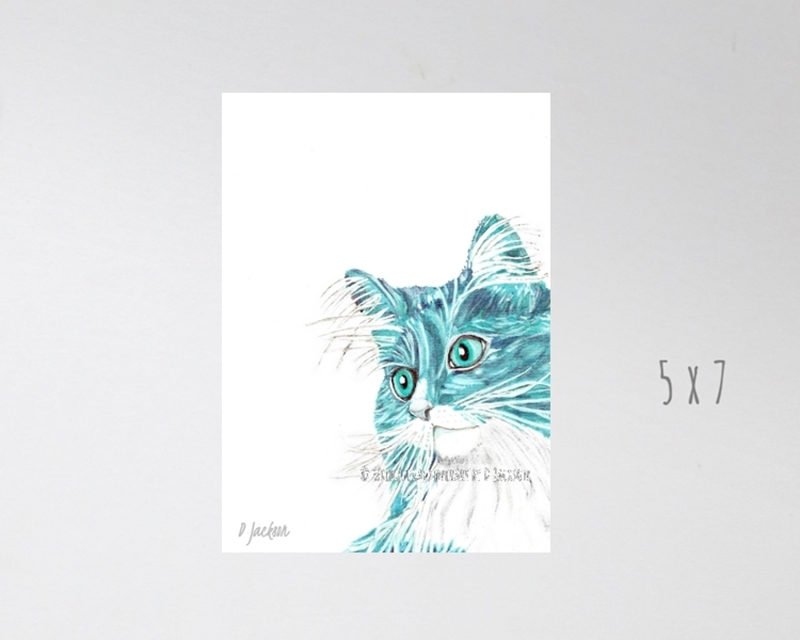 8 x 10 giclee prints are also available printed on canvas.These prints will last for decades in normal home displays. 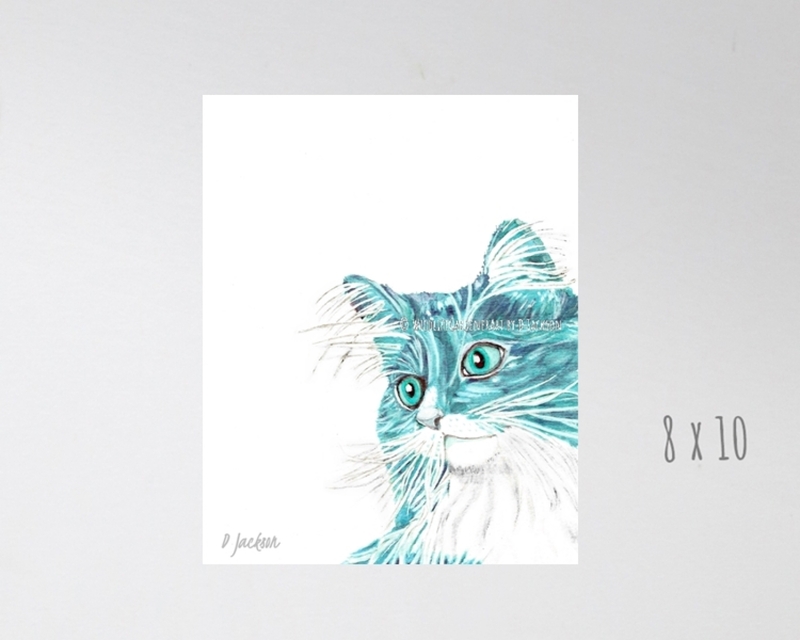 This print is made to order for you and shipped securely using USPS. If you have any questions please feel free to contact me. All rights on art and images are reserved for Wildlife Gardener Art by D. Jackson.